The use of exercise to heal the heart is not a recent discovery. In 1772 Dr. William Heberden was perhaps the first documented physician to recognise the importance of exercise for heart patients when he observed that one of his patients was ‘nearly cured’ after half an hour of daily exercise in the form of sawing wood! 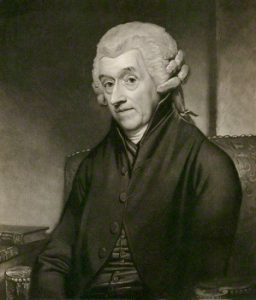 Heberden was one of the most admired British physicians of the mid-eighteenth-century. He was the first to distinguish chickenpox from smallpox, to describe in detail nyctalopia (night-blindness), and, most importantly, to give an accurate description of angina pectoris. Heberden published a report describing a six-month exercise program consisting of 30 minutes of daily sawing activity for one of his male patients who had a diagnosed chest disorder. Although this was written long before any formal recognition or definition of coronary artery disease, undoubtedly some of these patients had experienced angina disease or myocardial infarctions (MIs). This initial, apparently positive attitude toward physical activity was overlooked for some 200 years and in 1912 Herrich gave his original clinical description of an acute MI and expressed concern regarding physical exertion and recommended that patients be kept at bed rest for six to eight weeks post-MI. Dr. Werner Forssmann was the first to develop a technique for the catheterization of the heart. He hypothesized that a catheter could be inserted directly into the heart, for such applications as directly delivering drugs, injecting radiopaque dyes, or measuring blood pressure. The fear at the time was that such an intrusion into the heart would be fatal. In order to prove his point, he decided to try the experiment on himself. In 1929, while working in Eberswalde, he performed the first human cardiac catheterization on himself. He anesthetized his lower arm and inserted a cannula into his antecubital vein, threading it 65 cm all the way to his heart. Afterwards, he walked some distance to the X-ray department to photograph the catheter which was now lying in his right auricle. The head clinician at Eberswalde, recognizing Werner’s discovery, created an unpaid position for him at the Berliner Charity Hospital, working under Ferdinand Sauerbruch. Though, once Sauerbruch saw his paper, Forssmann was thrown out of the hospital. Sauerbruch commented, “You certainly can’t begin surgery in that manner”. Facing such disciplinary action for self-experimentation, he was forced to quit cardiology and take up urology. A pioneer in research on sudden cardiac death, Dr. Lown developed the direct current defibrillator for resuscitating the arrested heart as well as the cardioverter for correcting disordered heart rhythms. He also introduced the use of the drug Lidocaine for the control of disturbances of the heartbeat. 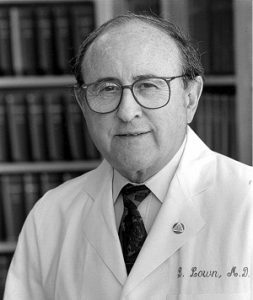 Dr. Lown’s innovative research established the role of psychological and behavioral factors on heart rhythms and as provocative factors of sudden death. In 1952, Levine and Lown openly questioned the need for enforced bed rest and prolonged inactivity after an MI. From their work, they concluded that long-continued bed rest decreases functional capacity, saps morale, and provokes complications. Their highly published report caught the attention of many and raised numerous clinical questions about the management of cardiovascular disease and the importance of cardiac rehabilitation. On 8 October 1958, Dr. Ake Senning made another major breakthrough when he placed the first implantable pacemaker in a 43-year-old man with Stokes-Adams syndrome. The pacemaker, designed by Rune Elmquist (of the Elema Company, now owned by St. Jude Medical), used two transistors and was about the size of a hockey puck. Six hours postoperatively, the device failed and had to be replaced by a second, identical model, which worked for 6 weeks. Forty years (and 26 pacemakers) later, the patient was enjoying a normal life at age 83. In addition to this Dr. Senning advanced almost every area of cardiac treatment, including open heart surgery, repair of congenital cardiac defects, pacemaker therapy, valve replacement, cardiac transplantation, and balloon angioplasty. He helped develop one of the first pump oxygenators for cardiopulmonary bypass. 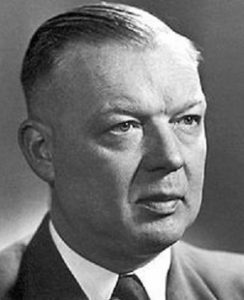 Dr. Senning also promoted the use of hypothermia and cardioplegia and was the first to use elective fibrillation in heart surgery. In 1958 he introduced an atrial inversion operation (the Senning repair) for transposition of the great arteries (TGA) in children. 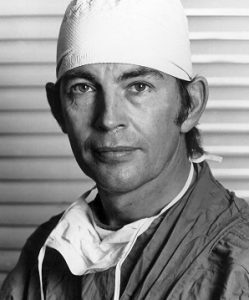 In 1962, while at Johns Hopkins University, Dr. David C. Sabiston Jr made the first human coronary artery bypass graft by operating on a beating heart and used a vein stripped from the patient’s leg to bypass a blocked coronary artery and increase the flow of blood to the heart. The vein was grafted to an arterial wall. Even though the patient later had a stroke and died, the procedure was picked up and refined by others to develop techniques now common in bypass surgery. 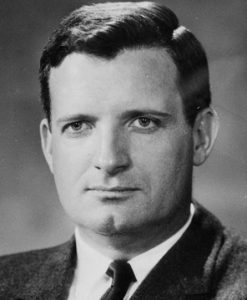 Dr. Christiaan Neethling Barnard stunned the world by being the first person to perform a human heart transplant on December 3, 1967 in Cape Town, South Africa. It was done at Groote Schuur Hospital in Cape Town. The patient, 53-year-old dentist Louis Washkansky, was given the heart of a 25-year-old auto crash victim named Denise Darvall (Ed: also a pioneer in the greatest sense). Unfortunately, the drug used to prevent the patient’s immune system from rejecting the new heart also impaired the patient’s ability to fight off other illnesses. The patient died of pneumonia 18 days later. This feat was a milestone in a new field of life-extending surgery. Barnard became an international superstar overnight and was celebrated around the world for his daring accomplishment. 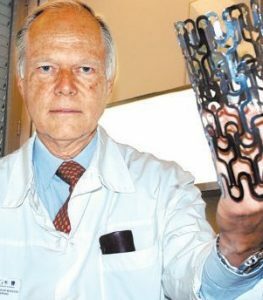 Dr. Barnard is also credited with developing a new design for artificial heart valves, doing heart transplanting on animals, correcting the problem of the blood supply to the fetus during pregnancy and was also the first surgeon to attempt xenograft (animal to human) transplantation. He was also the first surgeon to perform a heterotopic (two hearts) heart transplant, an operation that he himself devised. Andreas Gruentzig, a young German physician working at University Hospital in Zurich, Switzerland, began toying with the idea of adding a balloon to the Dotter catheters. He started fashioning prototypes in his own kitchen, searching for a viable material and design. In 1975 he developed a double-lumen catheter fitted with a polyvinylchloride balloon that would set in motion a revolution in medicine. He presented the results of animal studies with the balloon at the American Heart Association meeting in 1976 and was met with skepticism, although a few individuals saw the potential of his work. Dr. Richard Myler of Saint Mary’s Hospital in San Francisco suggested they collaborate and the two performed the first human coronary angioplasty intraoperatively during bypass surgery in San Francisco. 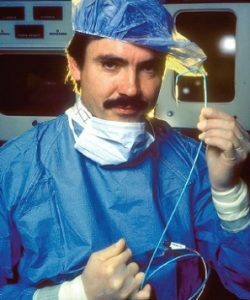 In September 1977, in Zurich Switzerland, Gruentzig performed the first coronary angioplasty on an awake human. A year later, when he presented the results of his first four angioplasty cases to the 1977 AHA meeting, the audience burst into applause, acknowledging his breakthrough with a standing ovation. 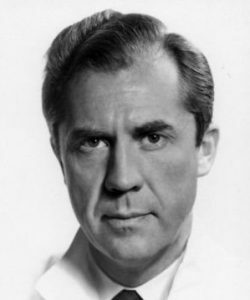 Dr. Senning provided surgical standby during the first percutaneous transluminal coronary angioplasty procedures and co-authored the early reports about this technique. The first stent was inserted into a human coronary artery in March of 1986 by Dr Ulrich Sigwart at Lausanne, France. The stent, a small metal tube or “scaffold,” is inserted into the artery during an angioplasty to keep the artery open after the balloon has been pulled out. In 1986, a self-expanding metallic scaffold was used by Jacques Puel and Ulrich Sigwart to combat the elastic response of the treated coronary artery. Richard Schatz and Julio Palmaz introduced their so-called Palmaz-Schatz stent that was mounted onto a balloon catheter. This so called balloon expandible stent was deployed by balloon inflation. With the use of dual antiplatelet therapy the use of metallic stents became the standard practice starting in the late 90’s. 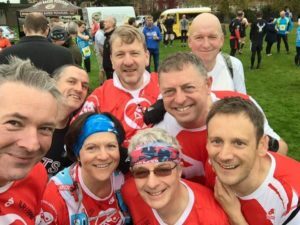 Present day – Cardiac Athletes! Cardiac rehabilitation has advanced so much that in the 21st century we now have you, the “Cardiac Athletes”, an exceptional and revolutionary group of people with unique physiologies supported by the latest leading-edge, state-of-the-art medical technologies, doing extraordinary activities and setting new standards of human performance. You are very probably the last pioneers of cardiology. This website is a celebration of your brave achievements and of the human spirits ability to overcome the limitations imposed by the body. Your discoveries will not be overlooked. They will be recorded by this website with the hope that they may lead to new avenues of medical research which in turn will benefit cardiac rehabilitation patients everywhere. The future success of this website depends ultimately on you, the Cardiac Athletes, so Post your stories on the Forum today so that they can uplift and inspire someone else tomorrow! Read about Patrons of Cardiac Athletes.